The world of MMA’s top heavyweights will collide but not in the octagon. In a media call promoting the February 12 bout with Antonio Silva, Fedor Emelianenko said his fight camp will be based in Russia but he’d like to train with someone such as Shane Carwin. The Strikeforce grand-prix entrant and famed veteran wishes to train with his fellow heavyweight title holder. Carwin, though US based, said it is an “honor” to join Emelianenko in such training. In a post on the forum “The Underground,” Carwin, once an interim champ who gave a defeated blow to Brock Lesnar in 2010, shares his affinity to Emelianenko. “Fedor has been a good guy to me,” he wrote. “After the Lesnar fight, he sent me some very kind words that put things into perspective. He is a great guy and a great fighter. 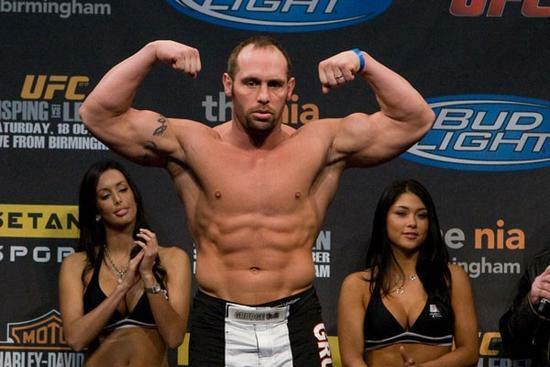 Carwin is slated for a prime slot on June’s UFC 131 card, which is expected to take in Vancouver. Both fighters just came out from losses. Carwin’s loss to Lesnar in UFC tarnished his 12-0 career that included 12 first round stoppages. On the other hand, Emelianenko’s 28-fight win record came to an end this past June with a loss to Fabricio Werdum.